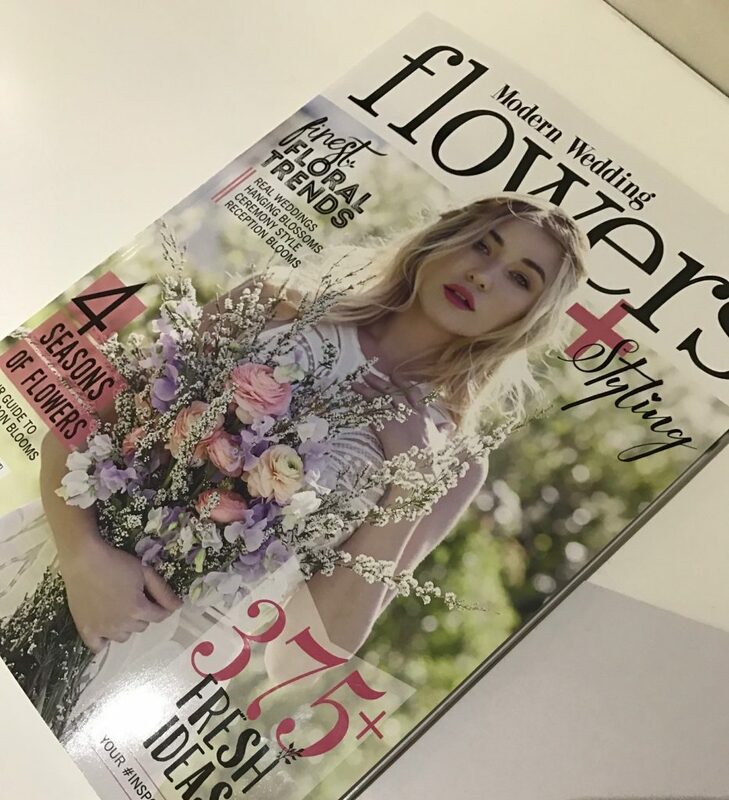 The shoot fused a bohemian mix of botanical greenery, recycled wood and intricate lace with a love filled vibe and was quickly snapped up by a variety of publications to be featured, however this one featured in the Modern Wedding Flowers publication, really shines. 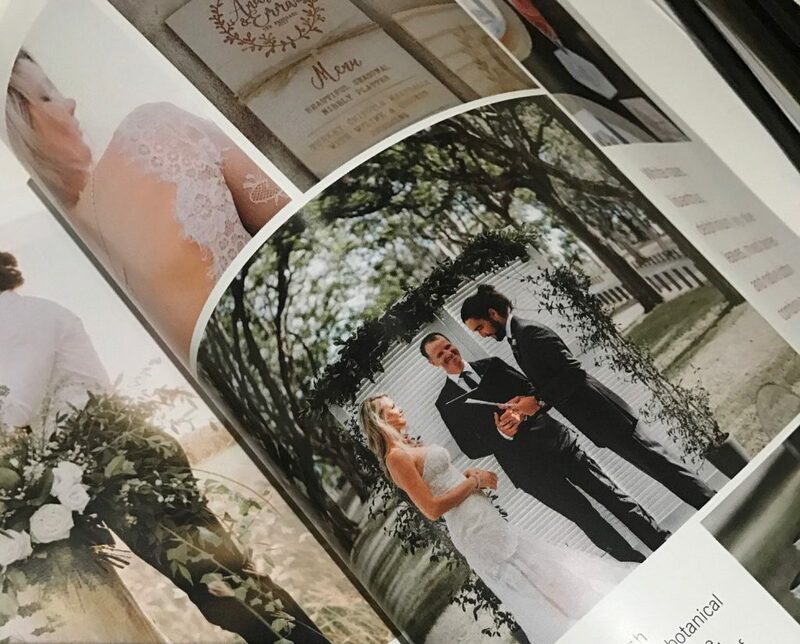 The editors from Modern Wedding Magazine thoughtfully ensured that every supplier is not only credited, but that each suppliers work was either individually or collectively featured, which is a wonderful way to express gratitude to those who gave up their time and contributed their talent to create this inspirational shoot. 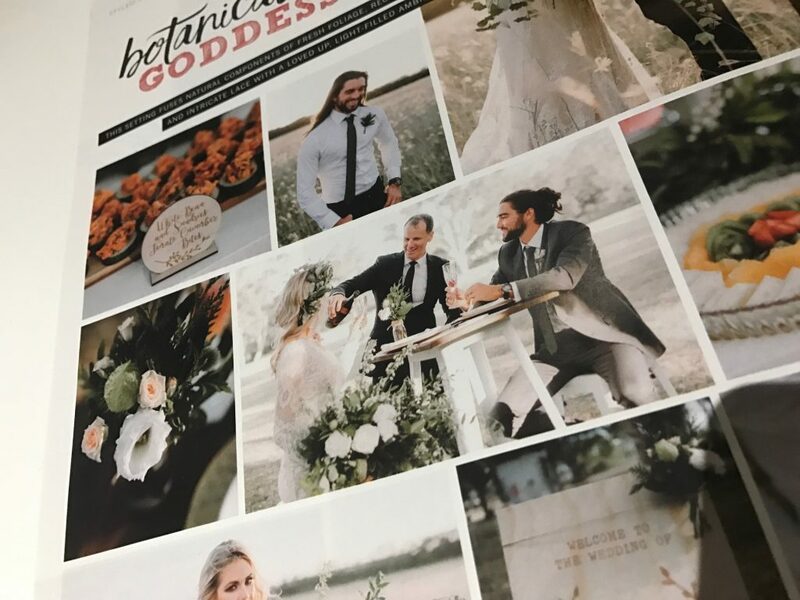 View the Botanical Goddess wedding shoot to see more and for a full list of the local wedding vendors that were all a pivotal part of this shoot. 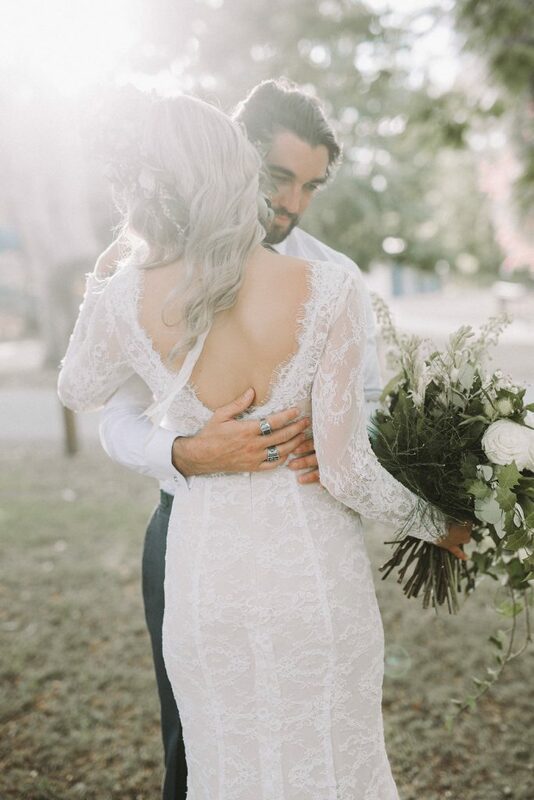 Inspired by the beauty of nature this Colmslie Beach Reserve wedding shoot fused a bohemian mix of botanical greenery, recycled wood and intricate lace with a love filled vibe. 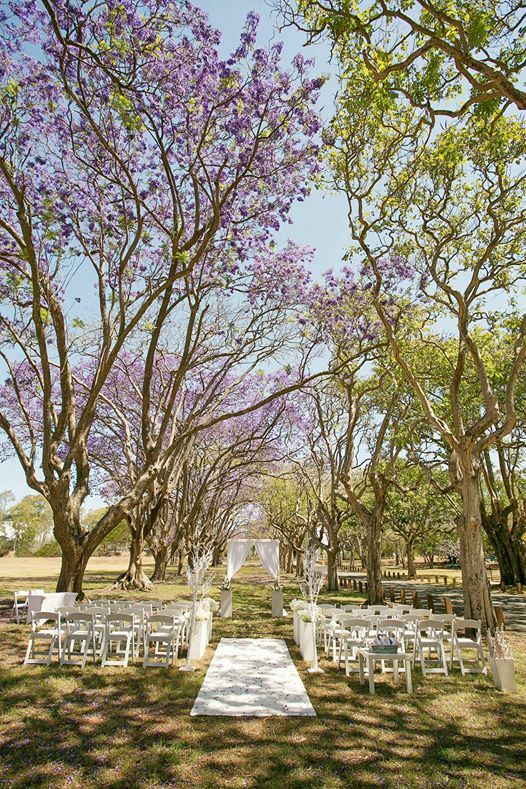 Set amongst two magnificent rows of Jacaranda trees in Brisbane at sunset. 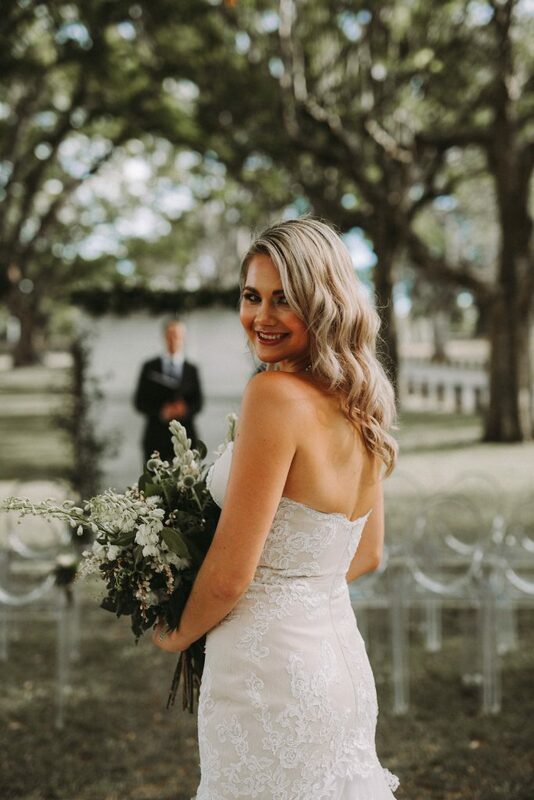 Our bride was enhanced with softly glowing make up and waves by Shannon Hope Make Up Artist and sparkling jewellery by Redki. The glowing bride made her way down in the most stunning gown from the latest collection by Goddess by Nature. The breathtaking lace and tulle trains with beautiful lace trimmings played tribute to the brides femininity. 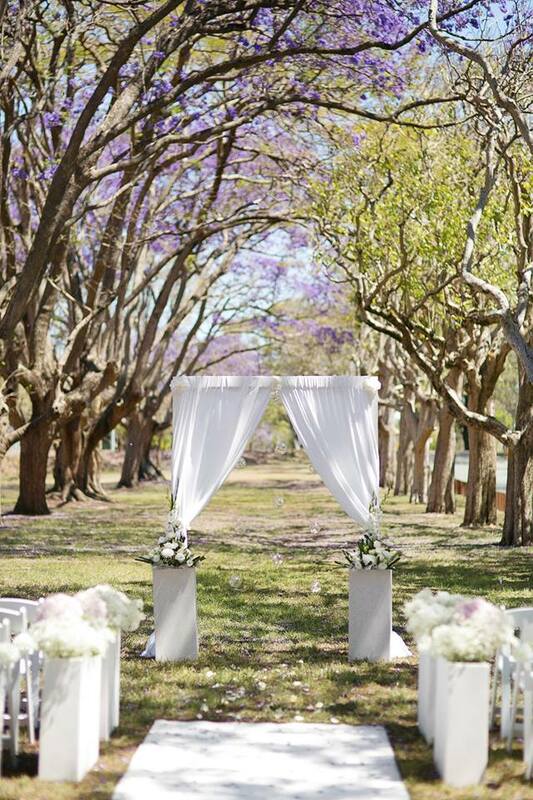 The aisle was beautifully decorated with stunning ghost chairs from Brisbane Wedding Decorators, and being clear they enhanced the greenery of the surrounding reserve. 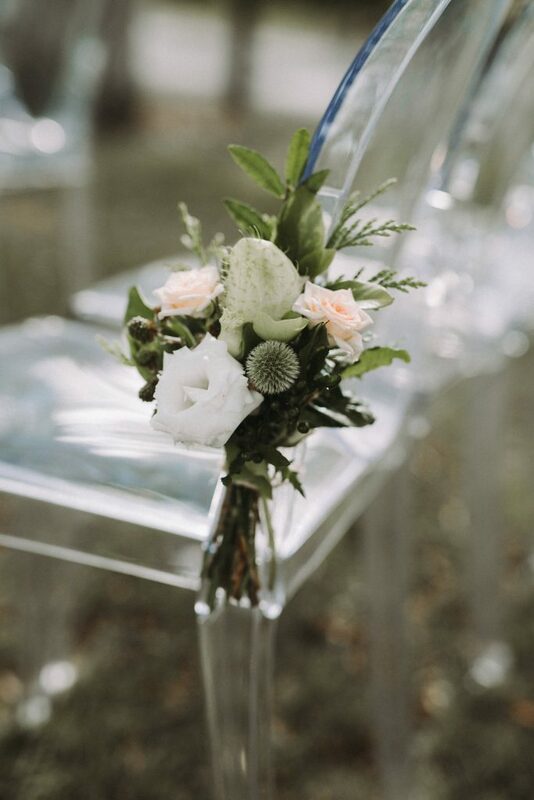 The ghost chairs were complimented with fresh floral arrangements by New England Flower Co. 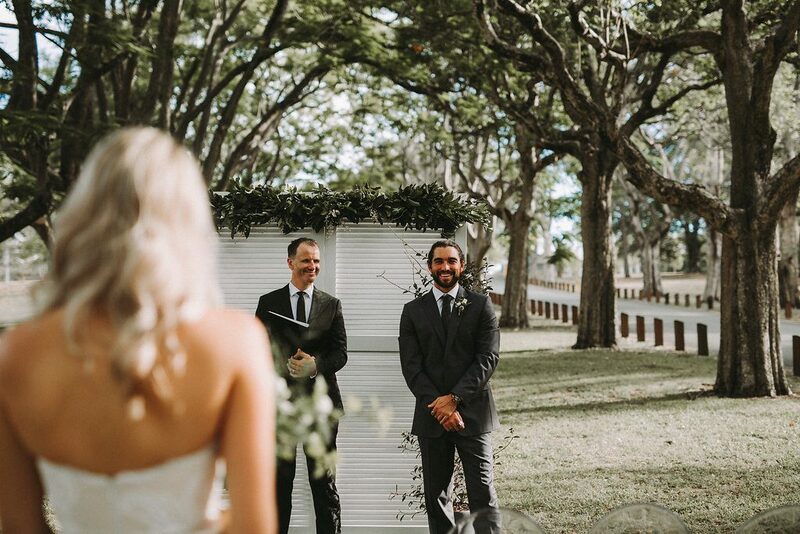 The bride made her way up the aisle to her eagerly waiting groom at their the boho chic styled ceremony set up by Brisbane Wedding Decorators. 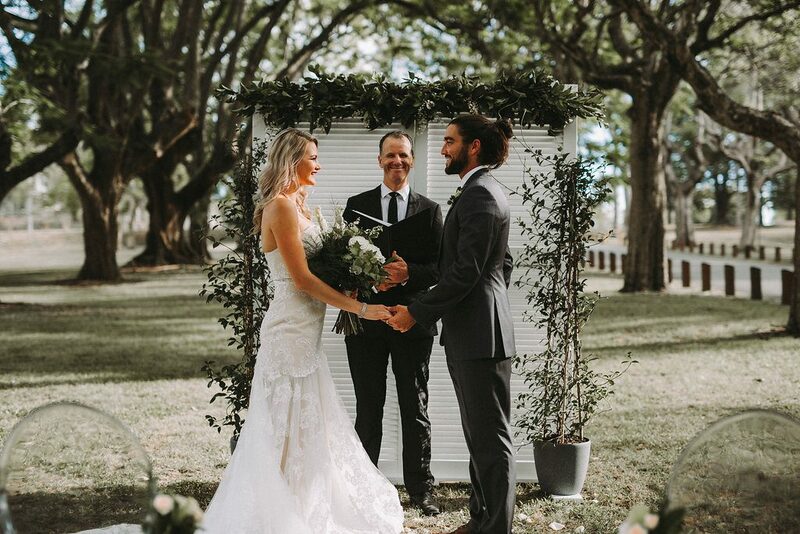 Recycled timber doors created a simple chic backdrop, framed perfectly by botanical greenery and star jasmine plants. 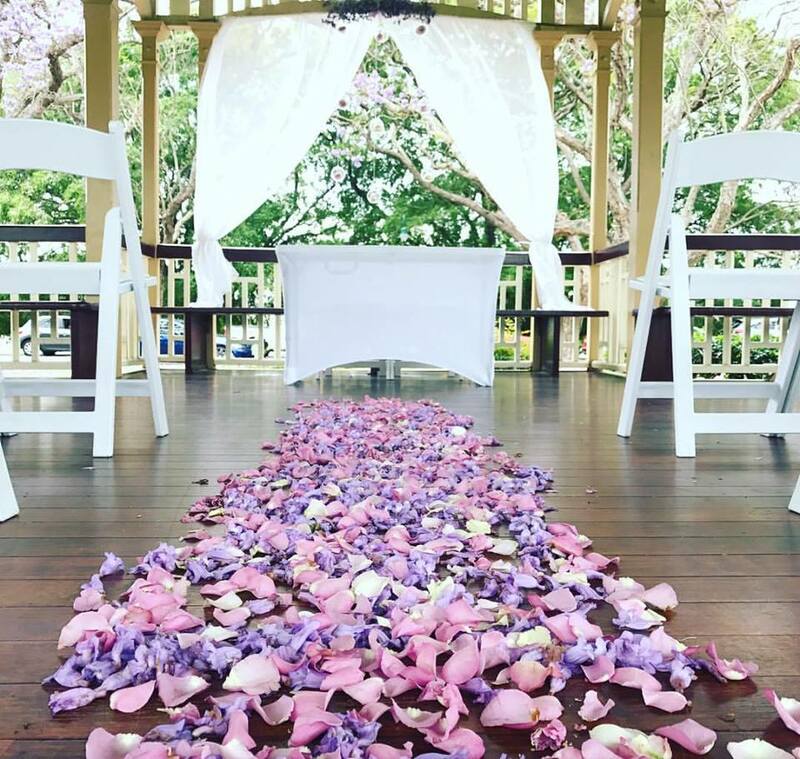 Marriage Celebrant Jamie Eastgate of Brisbane City Celebrants was on hand to guide the couple through their ceremony and vows. 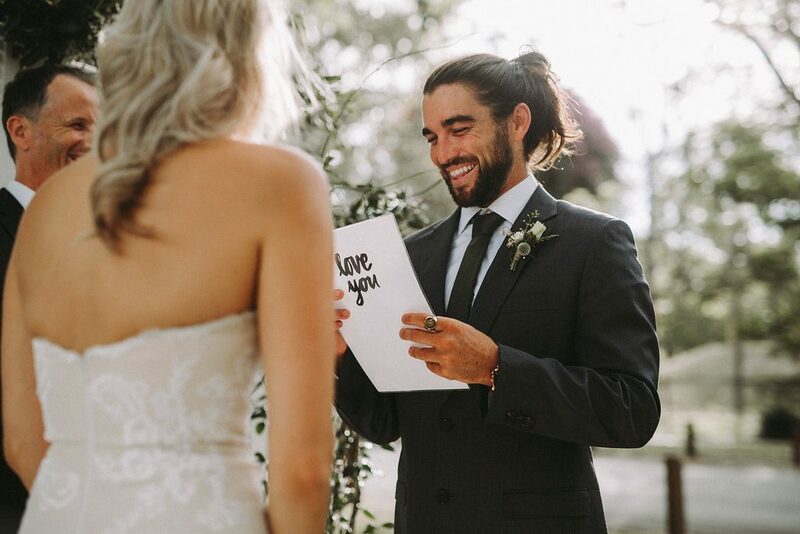 The groom was looking sharp in a custom made Wil Valor suit, crisp white shirt and a green tie, a colour palette that worked perfectly with the botanical greenery. 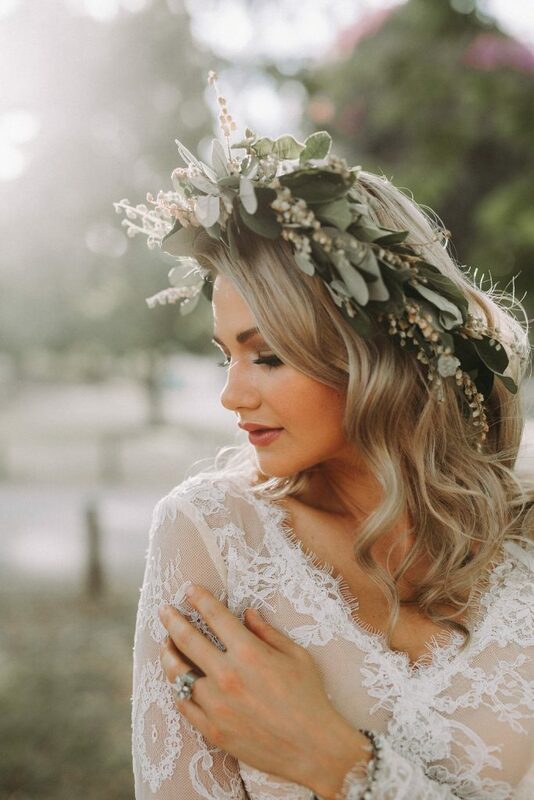 The natural beauty of the couple was magically captured by Twig and Fawn Photography. 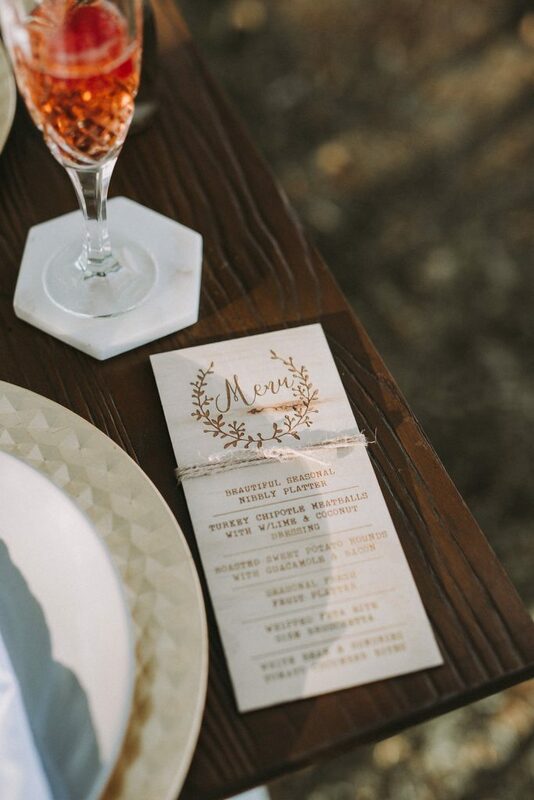 Laser engraved stationary, menus and signage featuring rustic wooden materials, paired with olive leaf motif menus and welcome signs were beautifully designed and crafted by The Rustic At Heart. Once they sealed the deal and enjoyed a glass of bubbles at their relaxed cocktail style reception setting. 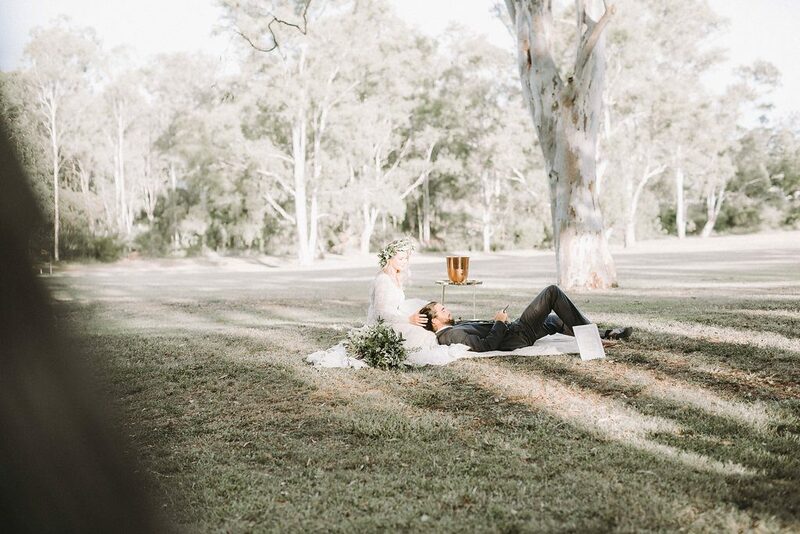 The bride and groom then enjoyed a little time alone together to kick back, relax and take in all the magic together at a stunning picnic setting with champagne and nibbles. 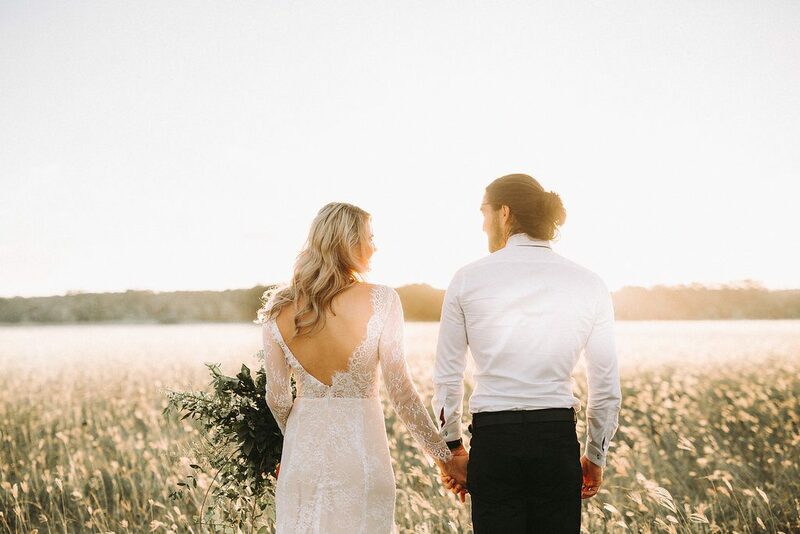 Precious time that we recommend every couple includes in their wedding day schedule as the day really will fly by so quickly so a little time out to relax, reflect and just be will be in the moment. 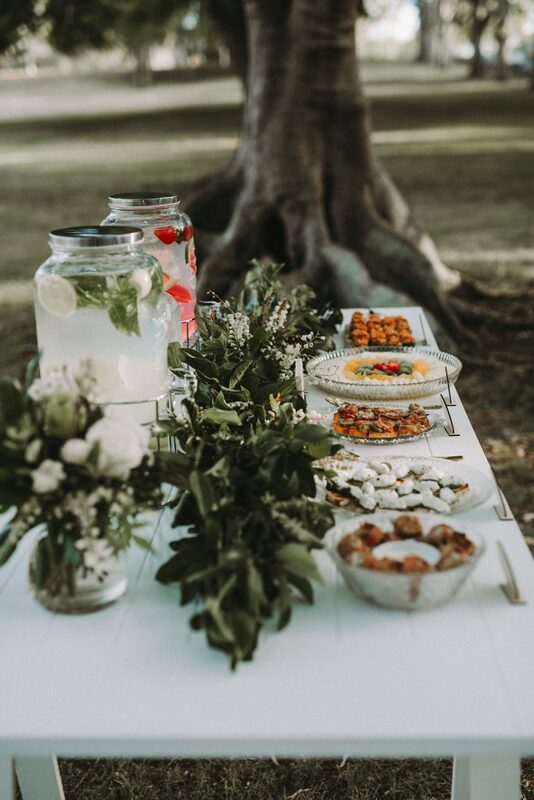 In appreciation of nature, nourishing organic seasonal canapés were provided by caterer Wholesomeness who are passionate about good, healthy, natural unprocessed foods. 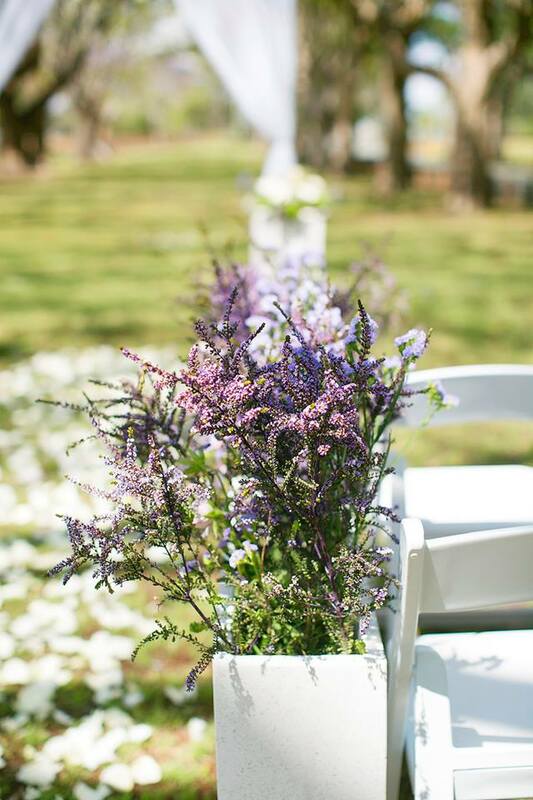 Brisbane Wedding Decorators freshly sliced fruit garnished drinks dispensers perfectly complimented the canapés, and a greenery garland perfectly tied in the botanical theme on the serving table. 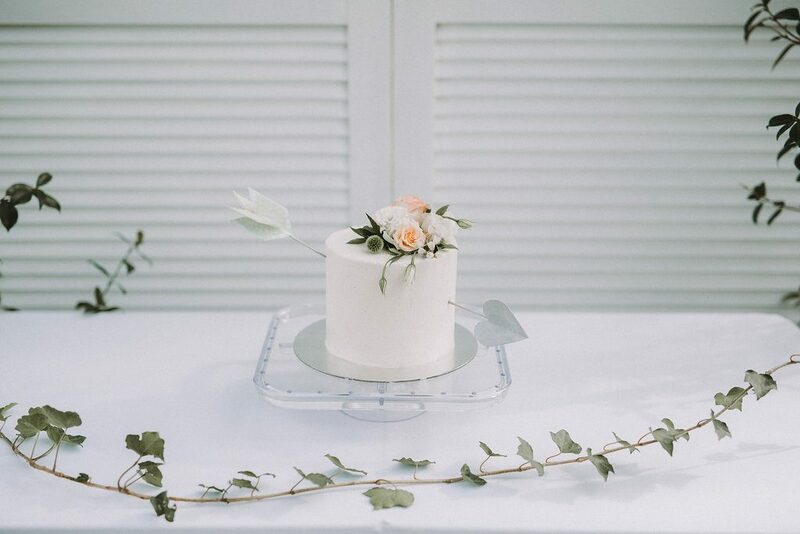 As the saying goes every party needs a cake, so Cakes by Holly Eloise provided a sweet cake topped with a peachy floral arrangement by New England Flower Co.
Every drop and ray of sunlight was captured by Twig and Fawn Photography, highlighting the newlyweds feeling of playfulness as the sun began to set. 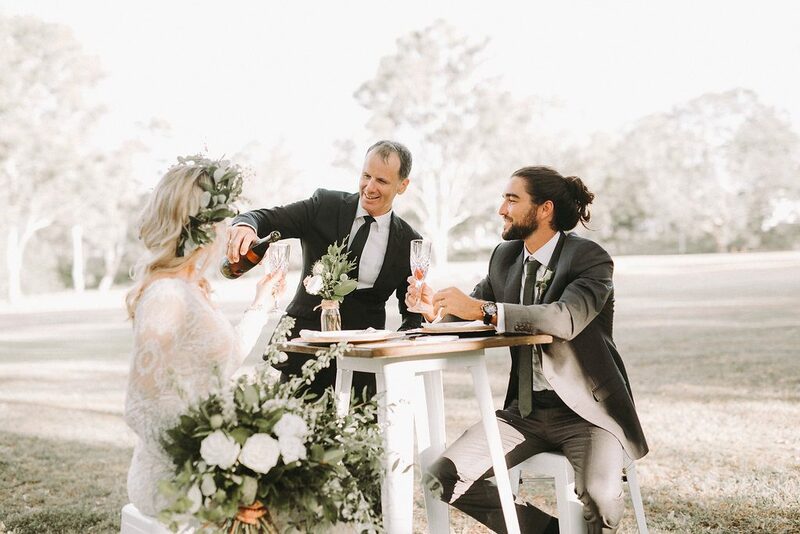 If you enjoyed the style of this Colmslie Beach Reserve wedding photo shoot and you are looking for a Celebrant for your special day, Brisbane Celebrant Jamie Eastgate would love to hear from you. 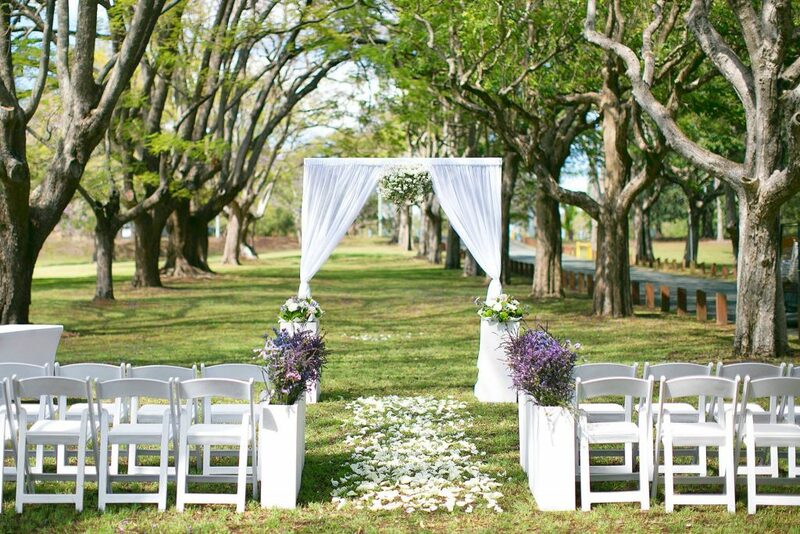 Contact Jamie now to confirm availability for your special day.